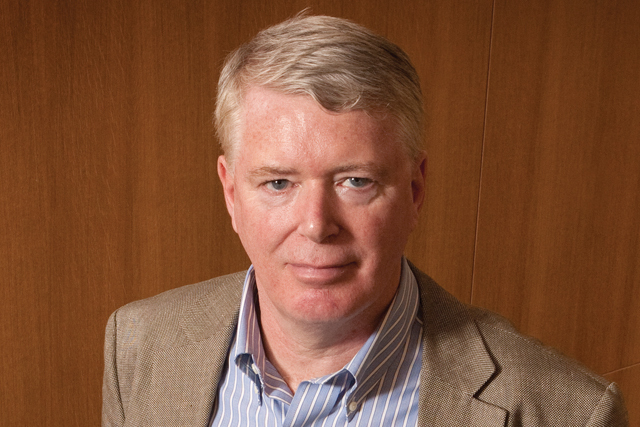 Martin Riley, the chief marketing officer of Pernod Ricard and president of the World Federation of Advertisers, took time out from the company's Innovation Day yesterday to speak to Marketing about his company's innovation strategy and his thoughts on brand-building in a decentralised business. Innovation has become a key part of the business. It's very much seen as a new plank of growth. We define innovation not only in product terms but experiences and services like the rain water bar [left] or the Mojito pop ups. So it's a broad approach to innovation. It's not just about marketing; we want an innovative company overall, we've developed processes ad tools. It's really become built into the way the organisation works. People want to get things right the first time. They feel there might be a bit of a shadow if they are associated with something that didn't work but we've had to say, ‘look innovation doesn't work like that. You're never going to get it right first time, as long as you learn what's gone wrong, we can correct it or reapply it to something else that's fine, that's great’. Of course, you don't bet the house on it, you test things and get them into market as quickly as you can. Put it into market, get a response, learn from that and maybe scale it up and learn as you go. Absolute Elyx is a good example. The packaging has changed quite significantly since launch, we're now on the third version. If you're building momentum, after five to six years if you've got something strong you see it take off. If you look at long-term success in the spirits industry, it's very noticeable that in the vast majority of cases it's slow burn. People are often happy with their whisky or vodka; this is a characteristic of spirits. It is a big year for Brazil with the World Cup. Brazil is a very big and fast growing market for us. It will be a very good market to track over the next five to ten years. We did Absolut Rio two years ago and now Absolut Karnival which is linked to the Transform Today campaign. 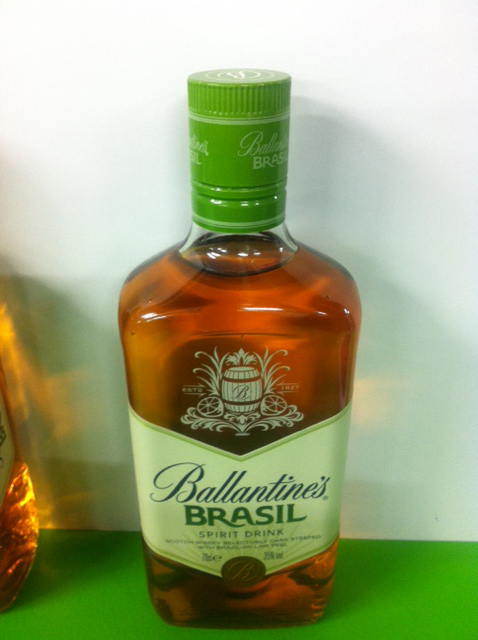 The team at Chivas brothers came up with that idea for Ballantine’s Brazil (lime flavoured Ballantine’s). Latin America is always quite aspirational; it’s attractive in terms of lifestyle, fun, beach, music. What my team does is set direction. You work with the key brand companies, they tell you about their initiatives, objectives and with some of the key markets who they. We have regular meetings of the senior marketing teams from brand companies and market companies and our region's top 25 people where we say these are the things in terms of focus. Processes give the wrong impression as we're not an overly process driven group but there are certain things where we need a common language and common way of doing things and I think that's a key role. My team is focused on specialist functions which are part of the key battlegrounds, whether its strategic planning, digital acceleration, luxury and creativity and what might be called brand development, consumer insight. We're moving away from the agency of record and we've encouraged brand companies to do that. The agencies for the top strategic brands are TBWA, Havas, Publicis and M&C Saatchi with one of two exceptions, Sid Lee have become involved in Absolut. You may have a lead agency but given the new world where digital is very important and you've got to have different disciplines you need to be able to manage a number of agencies. We have a lot of digital expertise embedded within the marketing teams of our main market and brand companies. We're not saying you should spend 30% of your budget on digital, we're saying for what you're trying to do what elements of digital are you going to bring to it and how is classic media going to play a role. All our brands are on Facebook and some are working better than others. I don't think it's a great advertising medium per se. It's not the only thing by all means. We work with Google a lot and through them YouTube. We have YouTube channels for many of our brands now, like Jameson. It's fascinating being the president of the World Federation of Advertising. You see so many industries and you're working with senior people on the executive committee on the WFA and I'm finding that extremely interesting. Data protection is a very important issue, we've been working with Brussels and I've had meetings with the European Commissioner on that subject.